Are you tired of all these boring and tiring home tasks? Magic Carpet Cleaning in Dagenham is ready to help. Our staff is trained and certified to provide the best carpet cleaning experience possible. We use the most recommended methods by the industry – hot water extraction and dry powder cleaning. This is guarantee, that your carpet will look better than new. Our certified carpet cleaners have no fear from any cleaning job. Our carpet cleaning in Dagenham may just be the perfect service for you. With the top-end cleaning tools and eco-friendly detergents we use, every stain and every spot on the carpet will be cleaned in no time. There is no too large or too small job for us. We dust, mop, vac and steam-clean your rugs. 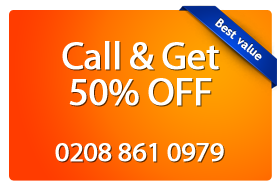 You can use our on-line booking form above or just phone call us on 0208 861 0979. Our friendly assistants are ready to reply to all your questions you have. You will get a no commitment free price quote. Magic Carpet Cleaning in Dagenham is your one-stop company for a clean and well-maintained home!